The focus of MDC’s nursing program is on building personal and professional skills needed to provide outstanding patient care. Our community health activities, clinical partnerships, and state-of-the-art simulation labs ensure that our graduates are ready to practice in the real world in a variety of healthcare environments. The Benjamín León School of Nursing offers a comprehensive program of study leading to an Associate of Science degree in nursing through several options (Generic, Bridge, Accelerated). Upon completion of any of the Associate of Science degree in nursing options, graduates are eligible to apply for the National Council Licensure Examination for Registered Nurses (NCLEX-RN). Final determination of the applicant’s eligibility for the licensing examination and to become licensed to practice in Florida is made by the Florida Board of Nursing. This program provides course work in a number of areas. Nurses are employed in a range of health-related fields in addition to direct patient care. 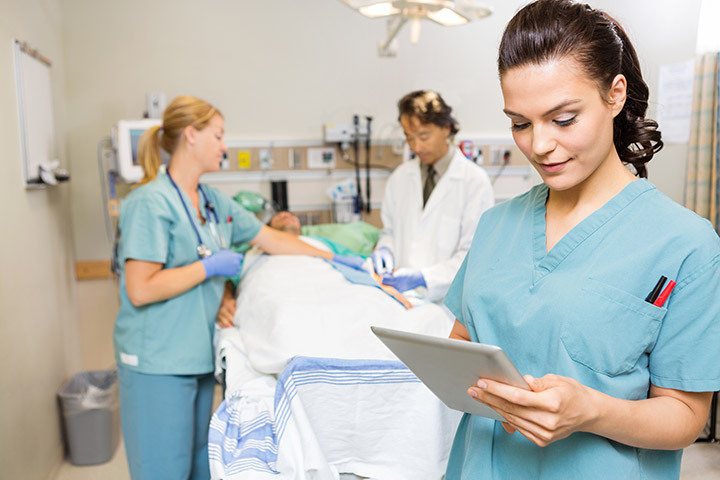 The Associate of Science in Nursing is designed to prepare students for immediate employment. Credits earned for courses in the ASN program are acceptable to upper division colleges should you decide to pursue a four-year degree. Classes for the Generic Full-Time option of this program are held at MDC's Medical Campus and Homestead Campus. All other program options are taught solely at the Medical Campus.